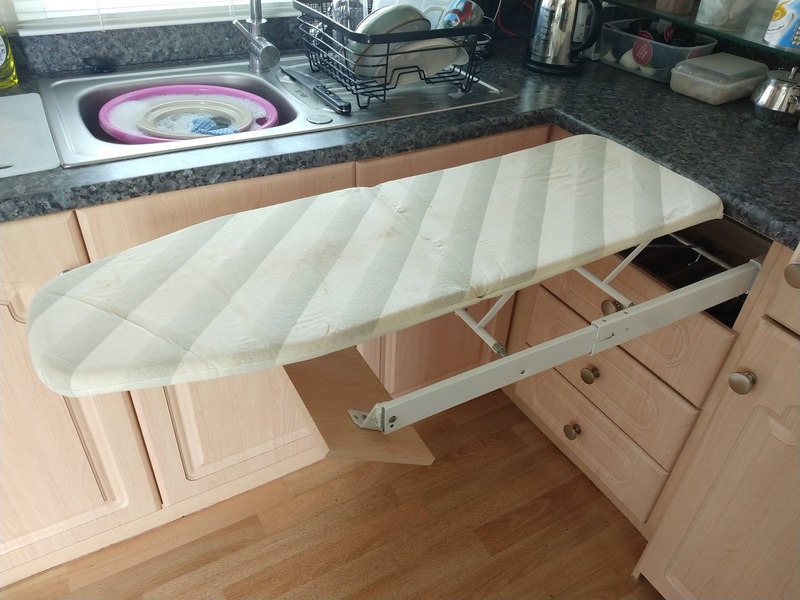 Ted's Salmagundi: Magic Ironing Board! What a clever idea this is for space-saving caravans and static homes. As you can see from the photos, when closed, it looks pretty much like your top cutlery drawer. Pull it out - keep pulling - keep pulling - and the mechanism folds down the drawer-front and raises the platform of the ironing board. The user then unfolds the 'folded in half' ironing board and gets ironing! It really is a case of Whatever Works - as this just does. It's been very cleverly thought out and when in position is super-sturdy (even more so than most I've used on wobbly legs) and you really wouldn't know that there is no support directly under it. I wouldn't recommend sitting on it, mind you! 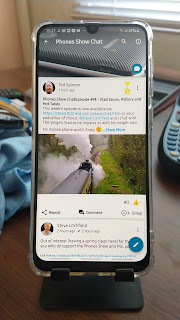 This is, of course, not something I can point people at AmazonUK to go and buy as it's built-in but thought it was interesting. I wonder what other similar contraptions people have in their caravans and Motorhomes to share with the community. Biggest problem here is actually not constantly going for the top drawer for cutlery! Every time I go to someone else's house for any length of time my life-long brain/muscle memory sends me straight back to the top drawer for knives and forks!